Phoenix Park Academy was inspected on the 21st November 2017. Ofsted inspectors shared our view that ‘This is a good school’. You can find the report here. 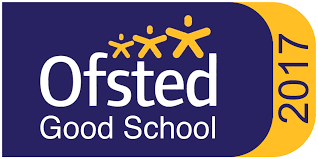 You can also read the report directly from the Ofsted website here. The headteacher and senior leaders have created a calm and purposeful school, focused on the development of pupils’ personal and social skills, confidence and the achievement of strong academic and vocational outcomes. Staff create positive relationships with pupils. Pupils’ behaviour is well managed through the use of consistent systems, positive rewards and strong relationships with the adults who care for them. Staff have a strong commitment to safeguarding and leaders have developed effective work with other agencies which keeps pupils safe. The school has a strong commitment to a personalised and flexible approach to meeting the needs of each pupil. This has resulted in effective curriculum pathways which meet the needs of pupils with different starting points. Parents strongly support the school. They can see the positive difference that the school makes to their son or daughter’s education and behaviour. Pupils achieve a range of academic and vocational qualifications which help them to move on to post-16 education and training. A high proportion move on to college courses at the end of Year 11. Leaders have a strong commitment to working proactively with local mainstream primary and secondary schools. This is valued by parents and professionals and has resulted in some pupils returning successfully to mainstream school.